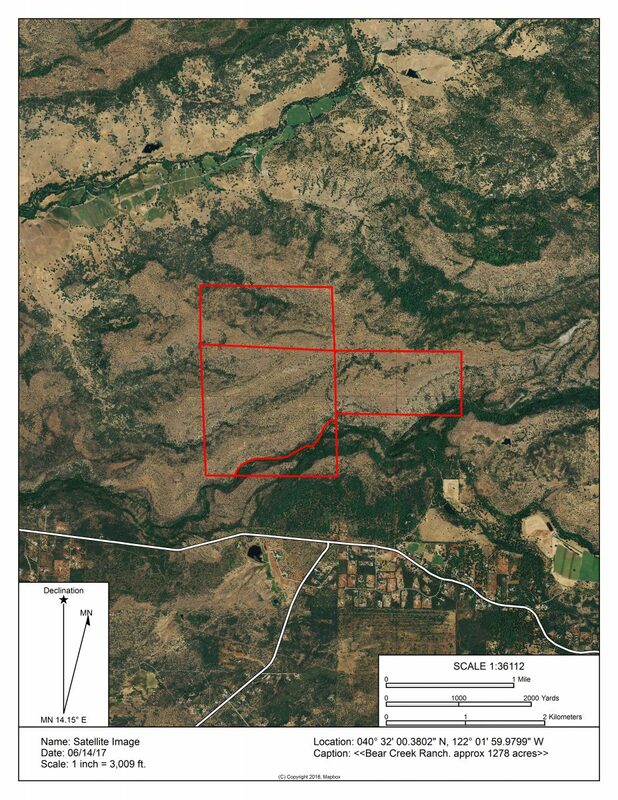 LOCATION: The Bear Creek Ranch is located at the Eastern end of South Cow Creek Rd. It is accessed through three other ranches by an easement. The easement has recently been agreed upon by all parties. South Cow Creek Rd is a county Rd. 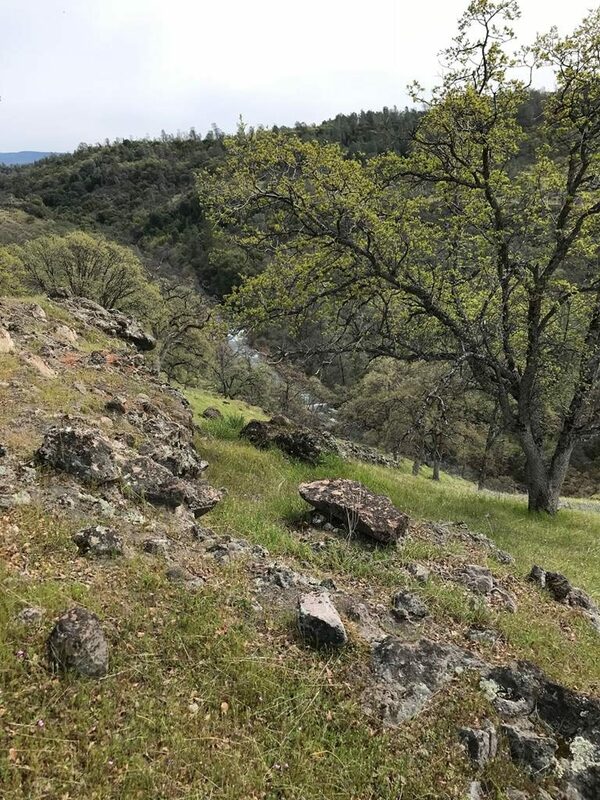 South Cow Creek is one of the more beautiful valleys in Shasta County. It can be accessed by Hwy 44 out of Millville. 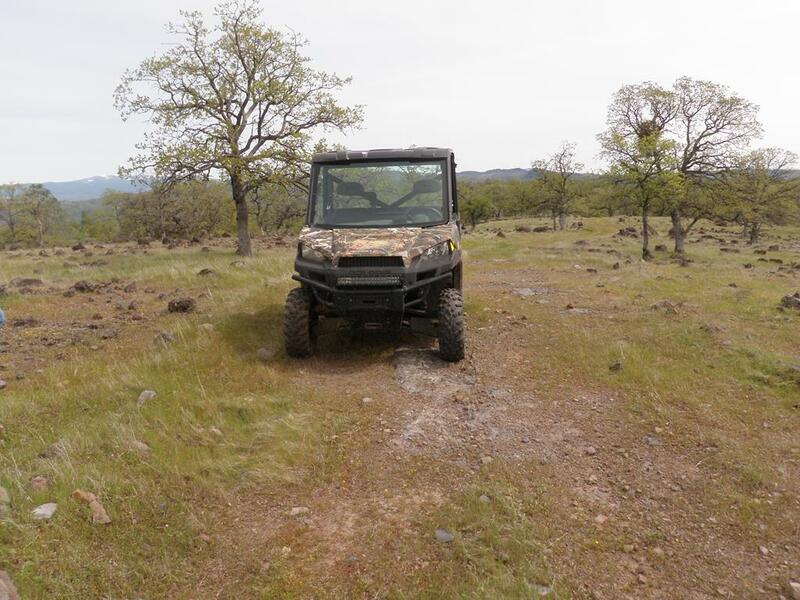 The ranch is a short drive to Palo Cedro and about 45 min from Redding. DESCRIPTION: The ranch is a typical winter range ranch supporting cattle from about Nov 1 each year until about May 1. The ranch was part of the old historical Abbott Ranch and is being sold as part of an estate settlement. There are no improvements on the ranch except fencing. The ground is both open and oak covered. A portion of the ranch has Bear Creek running through it. Bear Creek is a year round stream with trout. Possible candidate for a conservation easement and or PLM program. WATER: The ranch has Bear Creek running through a portion of the deeded ground. Also the owner states that there is a small spring in the north western portion of the ranch. 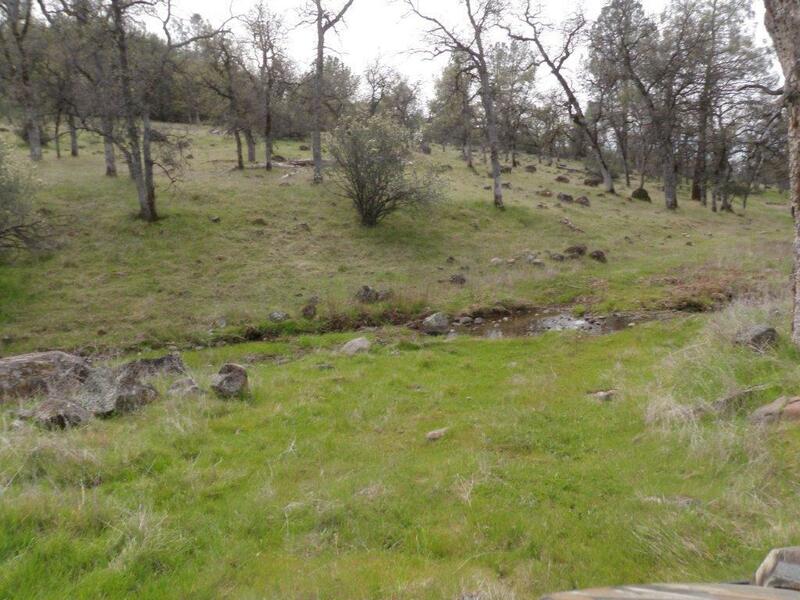 The addition of some stock ponds would enhance this ranch, both for cattle and wildlife. There is also several seasonal creeks on ranch. WILDLIFE: The owner states that the ranch is a part of a major deer migration trail and heavily used in fall and winter. There are also Wild Turkeys, Wild Pigs and Quail on the ranch. The property would be a candidate for PLM program. A recent tour of the ranch I saw at least 50 deer, some Wild Turkeys and Wild Pig sign. The owner states that he used to fish Bear Creek on the ranch and would catch large brown trout. SHOWN BY APOINTMENT ONLY WITH 24 HOUR NOTICE.